They would shoot sporadically, kill as many as they can and arrest the lucky ones who would live for some time before execution. They would pick the American flag the victims were holding, tear them into pieces and other flags, not even the Russian flag is spared. The people know the power of taking photos and videos of everything going on; then the soldiers would advance to them and take their phones, smash it on the ground or seize them but it never stopped pictures and videos coming in. It is the incurrence of American wrath and Russian wrath to continue to burn or tear their national flag; more risky when it comes from an institution or another country. Muhammadu Buhari is simply obsessed with Biafra as a result of bigotry and that will definitely land him into a diplomatic row. 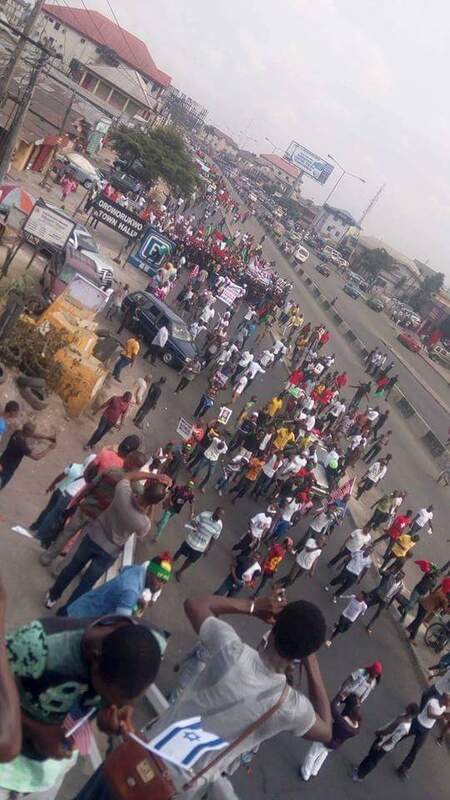 The peaceful procession of the people of Biafra on the streets of Porthacourt with American, Russian, Israeli and Biafran flag is not enough reason to burn or tear national flag. Not enough reason to shoot and kill innocent citizens and not enough reason to arrest and torture Biafrans.